Ideas range from making cards and reading / writing poems to playing games and cooking traditional recipes. Analysis grids show where and how the Intercultural Strand of the KS2 Framework for Modern Languages is covered, both by objective and by year group. 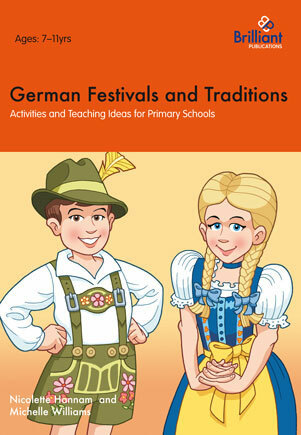 The final section provides detailed plans for organising a German Day in your school - an ideal way to raise the profile of modern foreign language and enthuse both staff and children. German Festivals and Traditions has been developed for use with children at primary school (KS2).